Hello everyone! Its Kymona here from Kreative Kymona and I’m super excited about being here with you today. I have some exciting new to share with all of you today. I hope everyone had a great Thanksgiving! So much food, family and friends. I love this time of year because I get to spend it with my sibling. All of us live in different states, so when the holidays roll around we get together and have an amazing time. Now that the food, fun and reminiscing are over its time to shop. So many great deals all over the place. I even saw on the news that a lady is having a Black Friday sale on her house. Whoever made an offer today, will get the house for $10,000 less. LOL, I can’t knock her. Everyone loves and needs a deal, right! I cut the white cardstock to 1.5 inches by 5.25. I cut the raspberry ripple cardstock to 1/2″ and adhered it to the back of the white cardstock. I stamped my sentiment with Hero Arts Raspberry Jam mid-tone ink. I adhered the pieces to the card base. I adhered the snowman with foam tape. I stamped some mini snow flakes to the card to make it look like it was snowing. I added some Hero Arts Gems for added embellishments. My snow man was sponged with Hero Arts Tide Pool mid-tone ink. I colored his nose with Copic YR04 and YR07. I added Clear Wink of Stella on the hat and scarf. I added a couple faux stitched lines for added interest. 1. Below you will find Ten Questions that need to be answered. 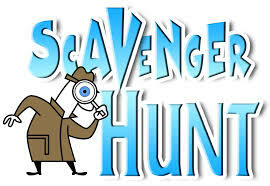 The only way to get the answers is to go on a Scavenger Hunt in the a2z Scrapbooking store. 1. Creating with Hero’s wonderful “Digital Cut” files is always fun, just remember when you are using them with your silhouette, to start with a fresh cutting mat and nice sharp ______, just two of the Silhouette accessory products we also carry in our store! 2. Don’t you just LOVE all the awesome Stencils that we have in stock at a2z Scrapbooking Store? When you are using yours, be sure you have plenty of this product on hand to add extra Dimension and Texture to your stenciled projects. 3. Which of Hero’s wonderful wooden stamps do you think would be perfect for a card that you want to create for a fellow crafter? 4. We have many colors of the fabulous Hero Arts Layering Paper always in stock at the a2z Scrapbooking Store. Name three of the colors that you would use most often for your crafty projects? 5. What is the name of one of the Hero Arts Ink Cube Sets, that has an ink named after a drink in it? 6. The a2z Scrapbooking store sells this amazing Hero Arts tool that directs hot air to the precise area where its aimed, melting embossing powder and creating amazing results in seconds. What is the name of this tool? 7. Ink Daubers are the new way of applying inks to stencils in your favorite colors. How many different Hero Arts colors are stocked in the a2z Scrapbooking store? 8. Have you tried Water-coloring yet on your cards? If not, you are truly missing out on a fabulous way to create your own fabulous backgrounds. Did you know the a2z Scrapbooking store carries a set of watercolors. What is the name of the water-color set and how many colors does it contain? 9. a2z Scrapbooking opened their Etsy doors on what date? 10. Wow, a2z Scrapbooking carries 80 different types of embellishments! How many of them are buttons? Categories: Challenges | Tags: faux stitching, gems, glitter, scavenger hunt, snowman | Permalink. What an adorable card and a fabulous POST about all the FUN events happening this weekend over at a2z! Thanks Kymona for all the HARD work and effort you put into this! Hey Lisa!! Thank you so much for your kind comment. I can’t take all of the credit. You were the leader on this project. I had so much fun working with you on the scavenger hunt. I hope we get a lot of players and that its fun for everyone. Love your card and what a fun and exciting scavenger hunt off to answer all the questions!! Hey Kim!!! Thank you so much for your kind comment. Yeah, I wish you luck!! You will have fun playing along. love this little guy and how the bling you chose looks like snow! Lovely card! Has this warn, cozy feel about it 🙂 Great post!